Home Warehousing Go West: Picavi Expands With A New Corporation In The USA. Picavi is planning to serve the major markets in North America more efficiently in the future: This is the reason why the world leading provider of the pick-by-vision solution for picking operations in intralogistics launched the US subsidiary known as Picavi U.S. Inc. last month. Picavi, which has its headquarters in Germany, is using this strategic step to press ahead with internationalizing its brand. The new corporation is not only designed to provide greater proximity to customers in North America, but also accelerate the development of business with an operations center in the USA in the state of Illinois. 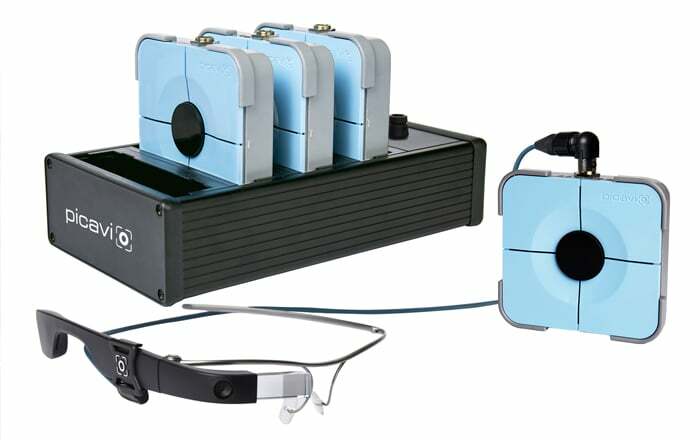 Picavi launched its subsidiary in the USA in February this year after a well-known customer in the third-party logistics provider sector agreed to expand its usage of smart glasses at the beginning of 2019; the new corporation will also help Picavi meet the increased level of demand. Carsten Funke, Chief Sales Officer and Partner at Picavi, has taken over the CEO position of Picavi U.S. Inc., which is based in Chicago, Illinois. The young corporation is already preparing to attend its first major event in the spring, the ProMat trade show in Chicago. Picavi U.S. Inc. will be able to present its services to the North American logistics sector on 8 – 11 April 2019 as part of its efforts to achieve its ambitious goals for growth in Canada and the USA in the future. The pick-by-vision solution provided by Picavi makes it possible to visually manage the picking process for goods in intralogistics in a consistent manner. The use of this innovation maximizes productivity at warehouses and minimizes error rates. When wearing the smart glasses, warehouse workers have both hands free for their primary task, i.e. picking goods. Picavi was founded in 2013 and has been offering its pick-by-vision solution to the warehouse sector as a marketable product since 2015. Numerous, large-scale corporations with international operations from a wide variety of sectors already make use of Picavi products in their daily business. An extensive network of service, integration, technology and sales partners supports the work of the company’s 30 employees. The firm has its headquarters in Herzogenrath in the Aachen urban region. This revolutionary approach to organizing picking has attracted a number of awards, including the IT Innovation Prize in the “Industry and Logistics” category presented by the Initiative Mittelstand Association in 2016. As a member of the German Logistics Association (BVL) and other sector organizations, the logistics specialist forms an integral part of the dialog process in intralogistics.